I'm really glad that I found you! You really helped me out of a jam, I will be coming back for sure. The boxes arrived Friday, we got everything delivered, print quality was fantastic, everything worked out as planned!! Thanks so much for you efforts, you guys are great! Toronto Printers do exactly what they say, my order arrived quickly and my gift cards are beautiful! I have to tell you guys how thrilled I am with my brochures. The colors and finish are perfect, I really appreciate the time you took helping me with my design and I look forward to working with you again. I literally can't believe how little I paid for spot varnish business cards. You guys are awesome! Thank you guys for the great service! I was a little worried getting my flyers printed online, but you guys came thru with flying colors! I just wanted to thank you for the wonderful service. I was a little worried placing my order as this was my first printing job ever. But everyone at Toronto Printers was so helpful and you made it so easy to understand. I will definitely be back again. I received my cards early and they look epic TY!!! Just want to say I love my new business cards! Shipping is FREE for the Ontario area! We use UPS and Fedex for our shipping. 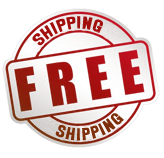 If you are outside of our free shipping area you will be contacted in order to make arrangements ( additional charges may result ). Shopping at torontoprinters.com is 100% Secure, we guarantee it! We are aware of how important it is to today's internet consumers to know their personal information is "100% secure". We want you to know that we go to great lengths to make sure that our customers are secure. All order pages use the most advanced encryption technology called Secure Socket Layers (SSL), all credit card numbers and personal information is encrypted making it virtually impossible for anyone to see it. torontoprinters.com understands everyone's concern for privacy these days and we are concerned also! That's why your personal information is used strictly for processing your order. We do not share your personal information and we will not submit you to any form of spam. You can rest assured that we value our customer's privacy and therefore have made this our #1 policy. After you complete your order, you will be prompted to upload your print ready files to our servers. All files will be checked after upload to insure that the technical specifications are correct before we print. Any printing errors on our end are 100% guaranteed and if needed will be re-printed at no additional cost to you. I have verified that spelling and content are correct. I am satisfied with the document layout. I understand that my document will print EXACTLY as it appears here, that I cannot make any changes once my order is placed and that I assume all responsibility for typographical errors. By submitting my order to torontoprinters.com I agree to the torontoprinters.com Terms and Conditions.